The tour is approximately 40 minutes and features live commentary from the guard. You can relax, have fun, see the sights and learn some interesting history, facts and stories while you let the train take the strain. 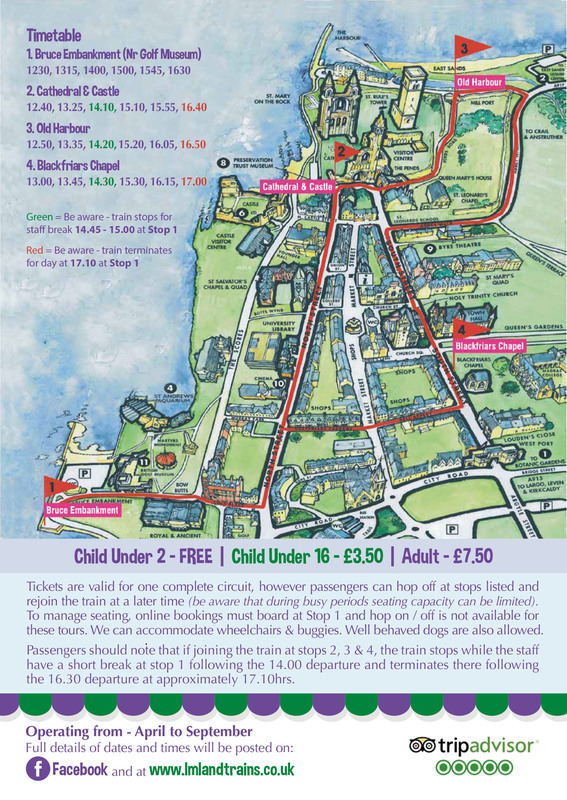 The ticket is for a complete circuit but the journey can be broken to allow you to explore the different areas of the town and you can rejoin the train at a later time to complete your tour (please retain your ticket for this purpose). 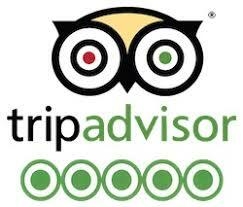 Our Land Train tour is ranked as the 3rd most popular attraction in St Andrews with a 5 star rating on Trip Advisor. Passengers can expect a friendly welcome from our driver and guard who will ensure you have a comfortable, safe and enjoyable experience. We will be running weekends and public holidays only in April, May & June and every day in July & August (weather permitting). Please follow us on Facebook for the most up to date information. In certain unforeseen circumstances the train will not run (adverse weather, mechanical issue, etc) however this will always be posted on our Facebook page. Tickets are purchased from the driver or guard on the train or in advance from the Visit Scotland St Andrews iCentre, 70 Market Street. Please note that in fairness to all, passengers will be boarded on a first come first served basis at each of the stops.